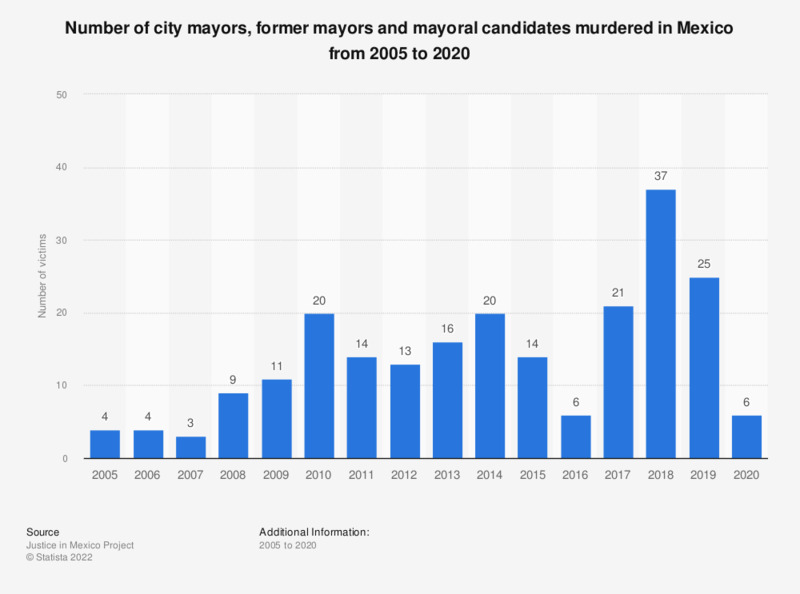 This statistic shows a timeline with the number of city mayors, former mayors or mayoral candidates murdered in Mexico from January 2005 to December 2017. In 2017, the number of homicides committed against (former) mayors in Mexico amounted to 21, the highest number throughout the indicated period. The number of journalists killed in Mexico amounted to 14 in 2017. Figures were calculated by Statista based on the source's data.